Angela and I were hiking through the forest on Tiger Throat mountain, on our way to see the stunning waterfall and view at the top. We sat quietly resting our legs and bums and listened to the only sounds which were the call of the birds. It was such a pleasant and calming feeling. We both weren't in a hurry to resume our hike. Suddenly, Angela jumped and screamed which made me jump up leaving my heart at the bottom of my stomach. Angela was white as a ghost and gasped the words, “A snake!” She pointed at the tree. I look up and sure enough. There was a snake. We both dove for our backpacks and ran as fast as we could. Neither of us took the time to look back. Thank you Kecia Spartin for our photo prompt this week! 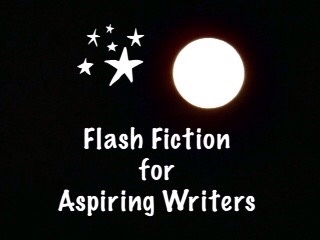 This is my 173 word story for the flash fiction challenge, Flash Fiction for Aspiring Writers. We are given a photo prompt and approximately 75-175 words with which to create our stories. It is fun and everyone is invited to participate. For more information, click HERE. LOL! And not look back!! Haha! That’s one way to look at it! LOL! Thank you so much Iain! Such a great story, PJ! Really enjoyed it . Yup. I’d be outta there, too. Poor snake he only wanted to chat,😊He will get a complex if anyone runs from him. Haha! Only wanted to chat? Sorry, but I would run too! They weren’t going to give him a chance to! LOL! Thank you Yinglan! Yes because then they might have been bitten! Yes, I’m sure you are right! LOL! Thanks Ali! That seems like a reasonable response to me! Although probably the snake wasn’t poisonous (most aren’t) and was even more scared of them. YIKES … snakes aren’t a favorite of mine. You humorous story toned down my fear. Haha!That’s right! Thank you Mark! LOL! You would take the picture. Would she run? yes and she would be ready to beat anything that got too close with a hiking stick too. Hahaha! That’s what I would do! I wonder if the story could be told from the view of snake.. That would be hilarious.. Running, Jumping Humans. No wonder everyone says they are dangerous.. That will be fun..
That really would be hilarious! Great little snippet of reality, PJ, as most of your writing is 😀 I hope they run fast! I had to quickly scroll past the picture….I can NOT ‘do’ snakes. Ugh. Blech. He only wanted to say hello and ask you about the current political situation Joy….all day he had sat there waiting for company to turn up and you ran off…lol…enjoyed your tale. Thank you so much Michael! Our current political situation? I want to pull my hair out sometimes!! LOL! Are you calling me a snake? LOL! Naa…I don’t agree with that. Haha! Ugh. That would be the worst part about hiking in jungle like conditions. Snakes gross. And you never know which are harmful and which aren’t. My Mom road over one on her bike and shrieked. I never knew we had snakes, or saw them until she rode over one. Thank goodness they are so small here and harmless. I do t know what they do in winter though ? Ya’ll are lucky that you don’t have many snakes there and the ones you do have are small and harmless. We have rattlesnakes here. We have other snakes too but they are harmless. That’s good most snakes are harmless. Have you ever been bitten by one? Our animal stories are more like having to relocate a beaver as he kept attacking dogs near an off leash trail. The dogs were only curious but he felt threatened, maybe thought they’d attack his family or wreck his dam, so they moved him and his little family to a nearby dam away from dogs. Some of the dogs were quite injured and rather than make clicking sounds with his teeth as most beavers do to warn away predators, this one straight out attacked. Beavers can be vicious when threatened, you wouldn’t think so but when I read this it proved my thoughts wrong! Those poor dogs! I think beavers could be very dangerous! I’m glad they relocated the Beavers so they couldn’t attack the dogs again! Yeah it was weird they aren’t usually like that, so aggressive. They were just being very protective. I wonder if there were babies close? That’s a possibility why they were aggressive. Just a thought. No it’s probably true. They moved him and his whole family. Maybe the beaver had his mate and baby beavers too close to the trail. That would make sense then why he was attacking dogs going by. I hope you have a wonderful weekend too Mandi! I also hope you are doing well. I am thank you 🙂 You as well. Dude! I would be so OUTTA there! I wouldn’t be able to scream, but I’d gasp and take off running, without a back pack… yelling back to my friend, there’s a snake! (yes, I’m horrible like that) but I would be in automatic mode. Could you imagine – what about all those snakes we don’t see? I don’t want to think about all the snakes we don’t see because honestly, most of them we don’t see because they are SOO good at hiding! YIKES!! Mine would be too! My heart would be beating out of my chest! LOL! Yes, I might scream too, if it was a poisonous snake! To see one lurking in a tree? I’d have to bet it was up to no good! 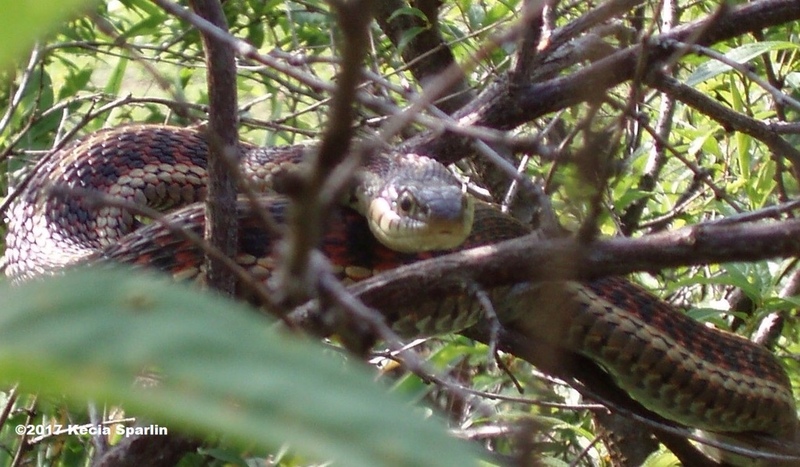 Yes, a snake up in a tree is absolutely up to no good! LOL! That was sensible of the girls to flee. Seeing the girls take flight the snake must have been happy to reclaim the forest for himself. Just a thought. Haha! That’s true. The snake was probably very happy to have the forest to himself again. Hahaha! Thank goodness we didn’t take a nap! LOL! My Granny used to tell a similar story! It happened to her as a kid. She hated snakes, forever! Haha! She had that really happen to her! Poor thing! Hahaha! I probably would have too.